Marilyn Peterson, daughter of W. Cecil Peterson and Palmera Detomasi, was born in 1936 in Neola, Utah. She arrived early weighing 3lbs. They kept her in a shoe box near the stove hoping she would live… and live she did! She started small and strong and continued on an upward progression for the rest of her life. She graduated class of ’54 from Union High School. She attended BYU for one year then moved up to Utah State University, she graduated with her bachelor’s degree in Elementary Education. She married David Hinckley in 1958. She taught school for a couple years and then began her family. She has four children: Dwight T. Hinckley (deceased), Steven C. Hinckley (Bill Johnson), Kristen H. Faux (Jeffery F. Faux), and Heather H. Limón (Sergio Limón). Marilyn always loved Salt Lake City and soon they moved there and then to Bountiful, UT where she lived for 28 years and raised her family. She loved her neighborhood and was always grateful to have lived there. Marilyn and David divorced, and Marilyn returned to teaching school. She taught for 15 years. She loved teaching second grade! Once she retired, she moved to Rupert, Idaho and has lived there for 11 years. She loved living in a small town and loved all her new friends. The favorite part of her life were her grandchildren. She loved hearing about all of their lives and adventures. 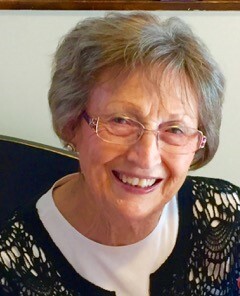 She has 11 grandchildren: Crystal Lindeman, Cody Hinckley, Jodee Pettingill, Wesston Faux, Tanner Faux, Cecilia F. Terry, Hunter Faux, Olivia Limón, Elena Limón, Lucilla Limón, and Liliana Limón. Marilyn was a faithful member of the Church of Jesus Christ of Latter-day Saints and was true to her beliefs to the end. All who know her love her. She is our best example that true and steady are the only way to go! We love her and will miss her. Funeral services will be held 10:00 a.m. Wednesday, February 13, 2019 at the Rupert Church of Jesus Christ 4th Ward. Viewing for family and friends will be held from 5-7:00 p.m. Tuesday, February 12, 2019 at Hansen Mortuary and for one hour prior to the services at the church. Services will conclude with burial in the Neola, UT cemetery 2:00 p.m. Friday February 15, 2019 under the direction of Joel Heward Hansen Mortuary.